When I became the principal of Minarets High School (Minarets High School) in 2008, the school did not exist yet. We were tasked, among other things, with having a dynamic Ag Science & Natural Resources Pathway. With that in mind, we decided to make all of our science programs and courses Ag Science. We never looked back and our Ag Science and FFA programs went on to National Championships and many other successes. It became one of the backbones and foundations of the school and community. Our FFA chapter, advisors and students reminded me what works so well with all students and how it all relates to the bigger world. Here are just a few of the great lessons that I was reminded of while observing FFA advisors and teachers - lessons that all schools, programs and educational entities can learn from…. While most of education either drifted away from or continually ignore the real world, the FFA has always embraced it. They never stopped making Ag Science education hands-on, relevant, industry-related, career-focused and more. They have always maintained connections to industry, advisory councils, regional/state/national collaboratives and more. They realized that the real world was awaiting all of their students and that the real world was the true connection to their students’ learning. The FFA has always competed. On dozens of Saturdays across the country, you can find hundreds of FFA Chapters competing in Field Days. Although winning is a good thing and FFA advisors are competitive, they also realize that competitions creates interest, engagement, urgency and importance for students. If you want to compete with athletics and all of the other interests students have, you better incorporate competition. When students compete, they again connect to the real world. They meet and collaborate with peers and mentors on a regular basis. Yes, we compete because we are competitive. But we also compete because it works. It makes all of us better. Everything the FFA does is collaborative. Teachers do not work in isolation, but have to collaborate with their peers on and off campus. Teachers are part of large Ag Teachers network and and students truly become part of a large, national community. Students compete as part of many different teams. Advisors have to meet with industry advisory committees. If collaboration and teamwork are as important as the experts predict for jobs and careers in the 21st century, the FFA is way ahead of the curve. FFA is the largest student leadership organization in the country. Above all of the individual competitions, projects and activities, they continually focus on leadership. All FFA students learn, practice and are modeled leadership skills. One of the primary skills that the world and our new economy is demanding is leadership. All future employees need to be able to be self-starters, entrepreneurial, creative, collaborators and more. This is leadership, and FFA is a one-stop leadership shop. If you documented the growth of students through four years of high school, you would see tremendous personal leadership growth as one of the many successful metrics in which to evaluate their students. Among all things, they emphasize leadership above all. And it shows. We have known about this secret sauce for eternity. Students who are part of something - anything - perform better and are happier. Belonging to something connects us to a larger purpose and provides everything from camaraderie, support and collaboration/teamwork. It is our emotional glue that maximizes and optimizes us. In high school, those that have been involved in athletics, the arts and other co-curricular activities have known this for a long time. Schools have wrestled forever on how to connect all kids to something that gives them that belonging feeling and experience. FFA personifies and typifies what happens when people belong. Through a variety of social interactions with common purpose, students improve in a variety of skills areas and enjoy themselves more while doing it. We all need to belong to something and FFA does this as well as anyone. Many educators and experts agree that presentation skills are now foundational to success for our students - both in higher education and the professional world. Indeed, I argue that interviews are now often presentations. And if they are not yet, they will be soon. The need to communicate ideas and concepts in a formal presentation utilizing multimedia and technology will transcend all industries, occupations and economies. The more comfortable one becomes at presenting the better. Indeed, those that can master presentation skills will have a huge advantage - whether it’s in class, in an interview, competing for scholarships or positions and more. FFA students all get exposed to public speaking through contests, class projects and more. Additionally, presentation is also part of the dress (uniforms), the activities, the competitions and so much more. We have known for a long time that nothing may be more powerful in young people’s lives than that of a trusted teacher, advisor and mentor. FFA and Ag teachers see themselves this way and so do their students. FFA advisors eat meals with their students (feed them meals as well), travel with their students, practice with their students, transport their students, work throughout summers and holidays with their students and so much more. Their commitment extends way beyond the classroom and they have the same students often throughout one’s high school career. Therefore, they become that trusted mentor to many. It might sound cliche, but research backs this up too - both at school and at work. If we have fun, we learn more, retain more, apply more and sustain more. FFA figured out long ago that high school students are, above all, social. So, they don’t ignore that. They capitalize on it. All of the above is made more powerful if people enjoy themselves. FFA models lifelong lessons to all students. That is that one should be passionate about what they do and enjoy doing it. If that is the case, success follows as well. 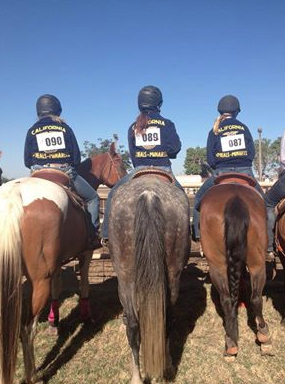 Visit an FFA chapter at any high school in America and you’ll see students working hard, but also having fun. It’s simple, but forgotten all too often. Thanks for your post! It's a great encapsulation of what I believe of FFA as well. I did go through 4 years in high school, and I'm now the Alumni President of our local chapter. It's a great program that is so underestimated and undervalued in many areas. You caught the vision. Thanks.